We’d love to hear from you. Whether you want to check availability, reserve a room or find out more about our B&B or Walk With Me, please call us, email us or complete the form below. Unfortunately we do not have any availability for 1st July 2017 but have most other dates available throughout 2017. 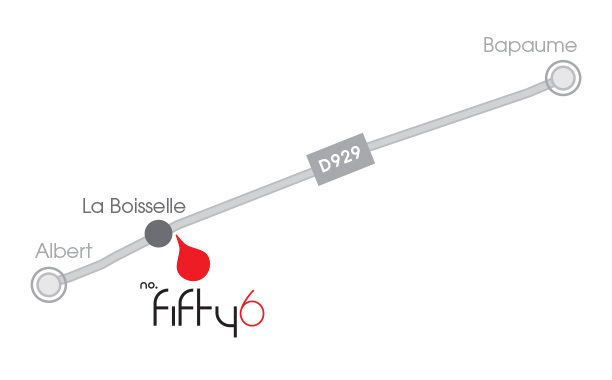 No.fifty6 is situated 1.5 hours drive from Calais and 40 minutes from Lille, which has direct train connections to St Pancras International and Albert. If you are on a road trip, simply put your location into Google Maps on the right to plan your route. If you would like to read what others say about No.fifty6, please click on the link to the right for full TripAdvisor reviews. Need to find us on google maps?